I was uneasy about committing for a large number of (legitimate) reasons. My flight out of Stuttgart was at 6 AM the day after Christmas, but because I wanted to catch a few friends for a Christmas / goodbye dinner, I needed to get back by 6 or 7 PM on Christmas Day. 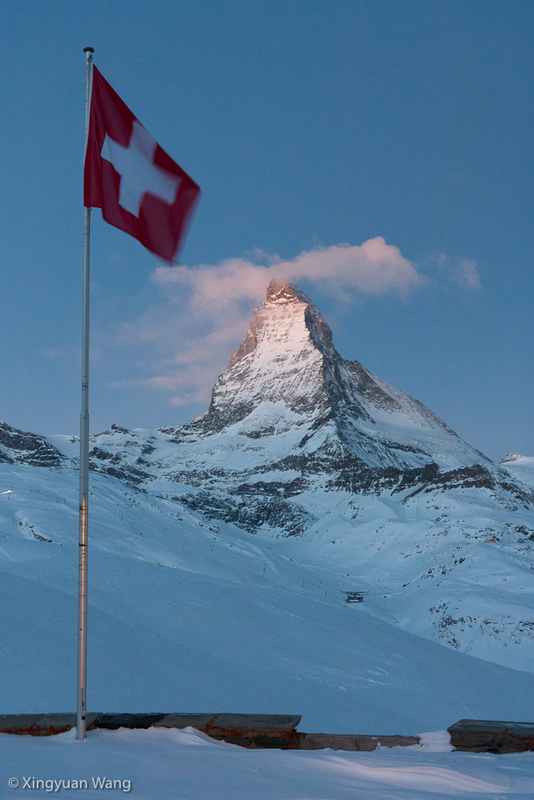 This would give me just a few hours to pack and clean up the apartment, but it also meant that I’d have only a morning in Zermatt: hardly a productive use of the 12+ hours of travel time and of the costs associated with any Swiss trip. In addition, I was also taking a gamble that the roads would be clear. This last item in particular would prove to be exactly opposite the case. Christmas Eve started innocently enough. A few friends and I visited the last hurrah of the Weihnachsmarkts, the Esslingen Heiliger vormittag, and along the way I was reminded that I hardly spent enough time at these quaint, “quintessentially German” social gatherings. 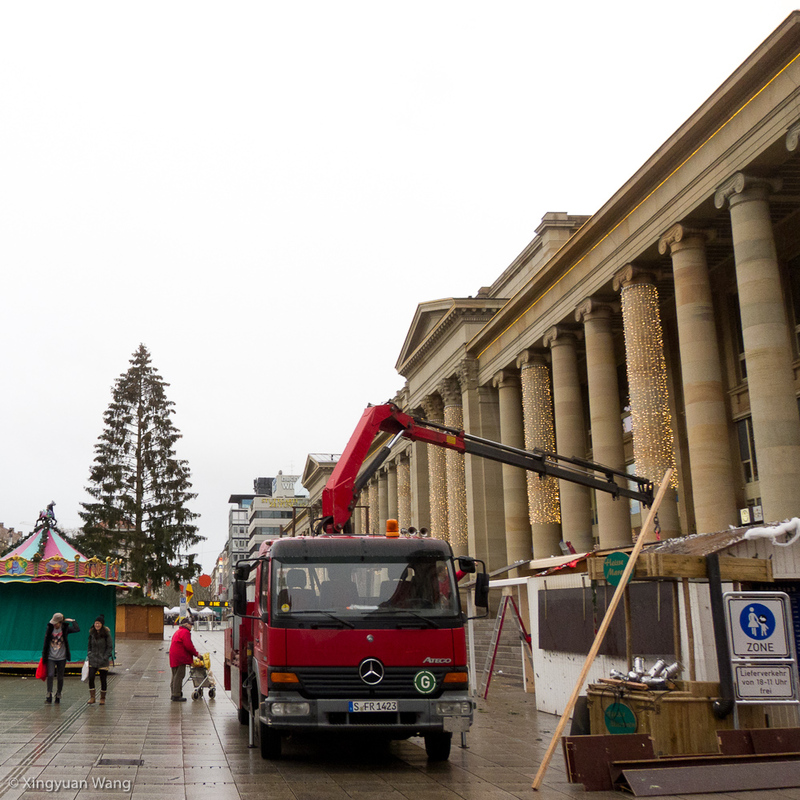 In Stuttgart, the little stands were already being dismantled at 9 AM. After two cups of Glühwein and a serving of Leberkäse, I headed back to Stuttgart to ponder my options for the rest of the Christmas weekend. I had originally thought that I’d eat dinner around 4 PM, take a seven hour nap, and wake up around 12 AM or 1 AM to head to Switzerland, but from my experience driving to Dachau early in the morning, I wasn’t sure I’d be able to stay awake. I also wasn’t sure that I’d be able to buy the Swiss vignette — the third one I’d be purchasing in my six trips to or through Switzerland — at 3 AM. I decided to look for hotels and found a steal in Randa: 65 CHF, which included breakfast and parking. 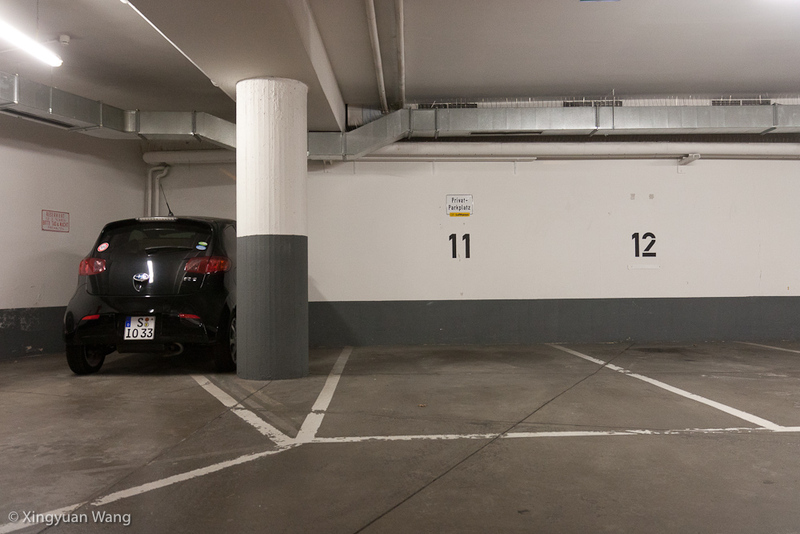 It also meant I wouldn’t have to pay for overnight parking in Täsch, which I had done the previous two trips to Zermatt, and that I could get some real sleep rather than what’d probably otherwise just amount to a short evening nap. I made the reservation, packed some sandwiches for the next day, checked my directions, finally took a picture of the Subaru kei car that I’d been meaning to take for five months, and hit the road. The first 3 hours passed remarkably effortlessly. There was no traffic on the Autobahn for a change, I was able to buy a vignette with no issues (and found out that it’s possible to stick one to the windshield while still being able to remove it later — this would have been handy 80 CHF ago), and made it through Zürich and then Luzern without nary a hassle. But suddenly, somewhere around Meitschligen, it began to snow. This didn’t concern me until I realized around 7:00 PM that I needed to go up a mountain pass if I continued on the road I was on — and that the snow at lower elevations had already begun to translate into gusting whiteouts as I neared the entrance to the Oberalp Pass. 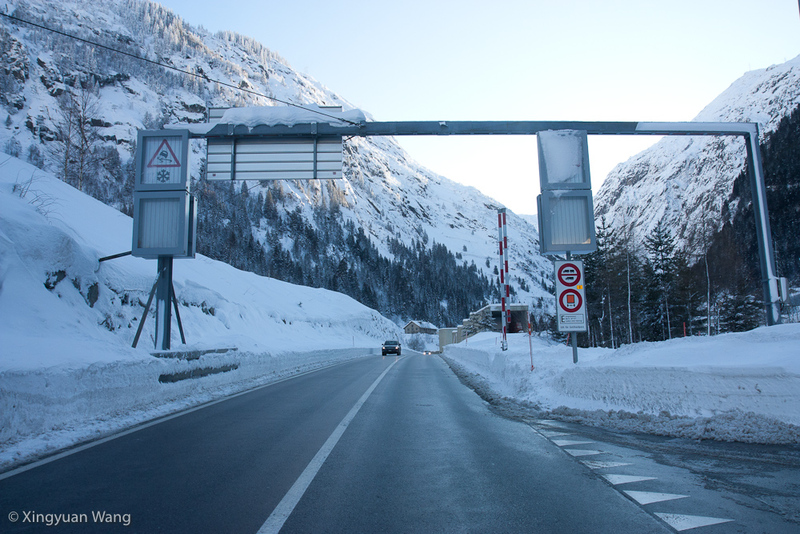 Thinking that maybe there was another way into Andermatt, I looped around the area several times before heading into the Gotthardstraße tunnel and into the Italian-speaking canton of Ticino. 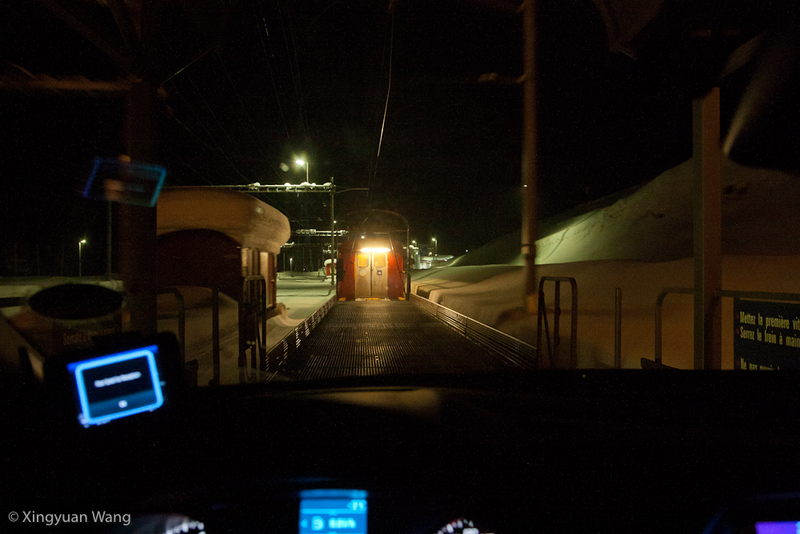 Once there, I learned that indeed the only way to Andermatt was up the mountain, but that given the time (7:50 PM) and compounded by the snowy roads it would be difficult to catch the last car transport. I was not about to drive off an Alpine pass two days before I was to leave Europe, but on the other hand I also wasn’t ready to completely forego an attempt up the mountain to see if it was truly as impassable as I concluded based on the blowing snow. After the fifteen minute trip back through the Gotthardstraße tunnel, I was incredibly fortunate to meet a Toyota RAV4 also about to make its way up the Oberalp Pass and decided to follow it. I agreed with myself that if I ever lost track of it due to blowing snow or if the road was impossible to climb, I’d turn around immediately and head back to Stuttgart. 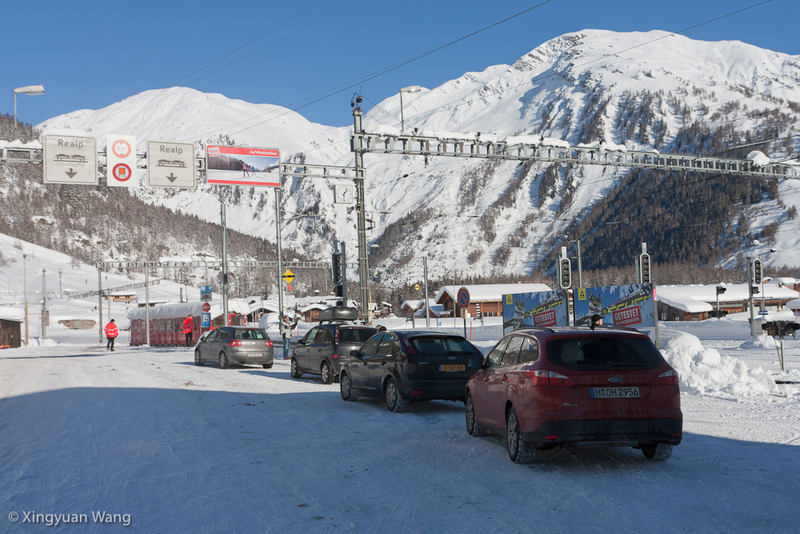 If I made could make it into Andermatt, I’d at least have a chance at catching one of the last car ferries that ran from Realp to Oberwald (bypassing the Furkapass I wrote about earlier), and hopefully could then make it to my hotel by 10 PM. I caught the 9:05 PM ferry from Realp and was the only car on the train. Still blocked from the elements by the tunnel, I took my first picture since the one of the Subaru. In Oberwald, the snow continued to blow. One day later, as I left the Valais area I took pictures of three areas that I remembered very distinctly from the night before. En plein soleil, in the middle of the day these three scenes could not seem more innocuous — the night before, visibility was less than 50 feet, the wind was positively yowling outside, and I was driving without knowing where the edge of the road lay and wondering aloud at times if I had just given myself the most masochistic Christmas present possible at 1400 m. I was nervous about the early morning hike I had done just over two months ago in Zermatt. That experience, a strong adrenaline trip at the time, was a mere gasp of incredulity compared to this nearly two hour adrenaline high. Heading up: the beginning of the Oberalp Pass. I contemplated my choices in this spot the night before but could not see the mountains then. Car transport from Oberwald to Realp on the return trip -- many, many more cars this time, especially in the direction of Realp to Oberwald. Both car transports I saw were completely full, and the car queue at Realp was over 70 cars. Somewhere between Oberwald and Visp on the way back to Germany... only this time I could see where I was going. 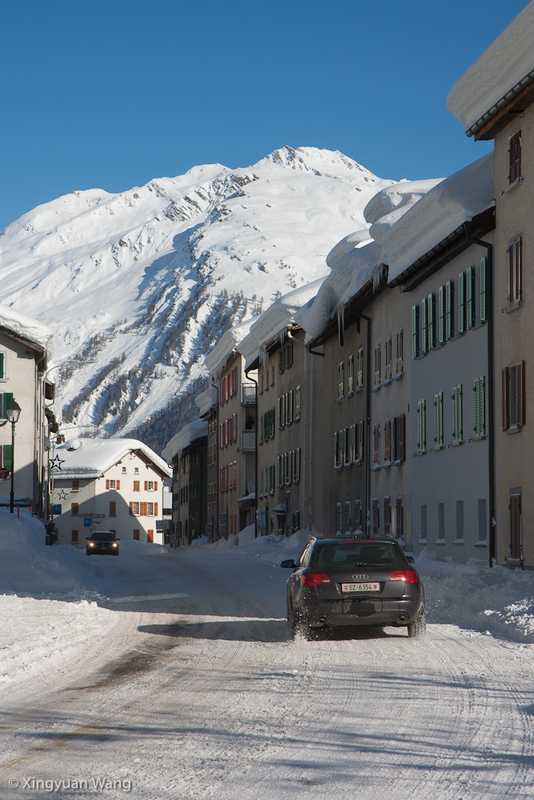 Driving into Täsch in the winter can be harrowing enough; it’s hardly a good idea to do it on your own on a night on which hardly anyone travels. Practical impossibility of my current location aside (I’m back in the US as I write this), suffice to say that I won’t be pulling this stunt again without more knowledge of the weather and road conditions. The next morning, I made another salami-bologna sandwich and headed into Täsch, just 4 km away, and took the shuttle into Zermatt. 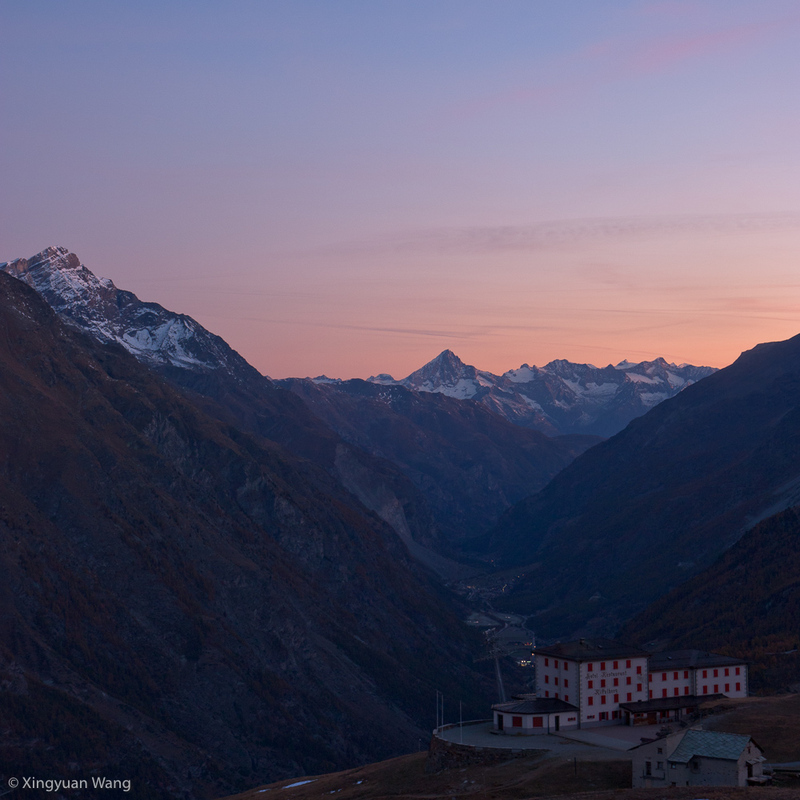 I debated briefly whether I wanted to ride the Gornergratbahn up to where I had hiked the previous time or if I wanted to take the gondola up to Klein Matterhorn in over an hour and possibly after sunrise. 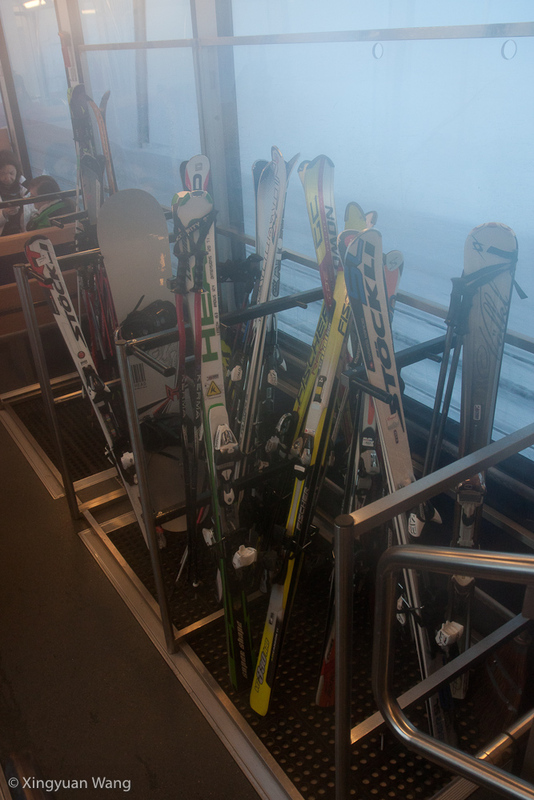 Knowing the sunrise characteristics of Riffelberg, I decided on the former and jumped on the 7:05 AM (7:08 AM by the time I — the last passenger to do so — boarded) train and was extremely surprised to see it full of skiers and snowboarders. 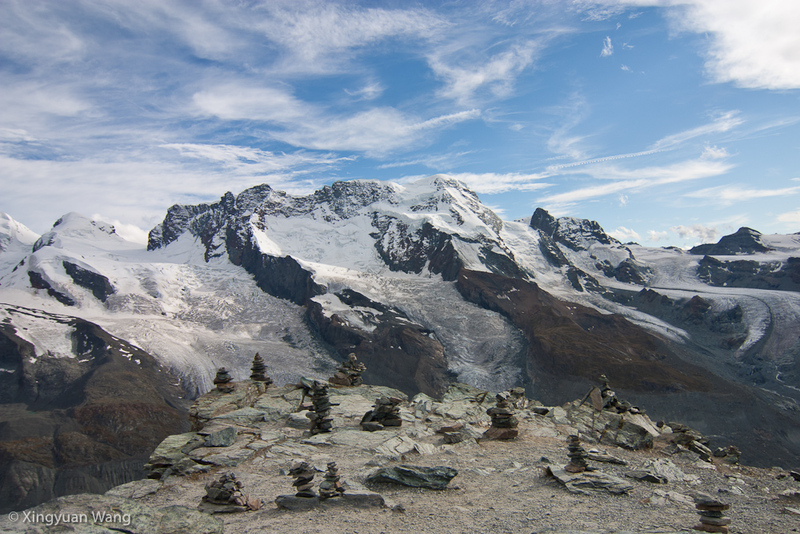 A month into the ski season in Zermatt, the magic of the area of suddenly became apparent: the hiking in the summer is wonderful, but the utility of all those ugly ski lifts is fully utilized when the ground turns white. 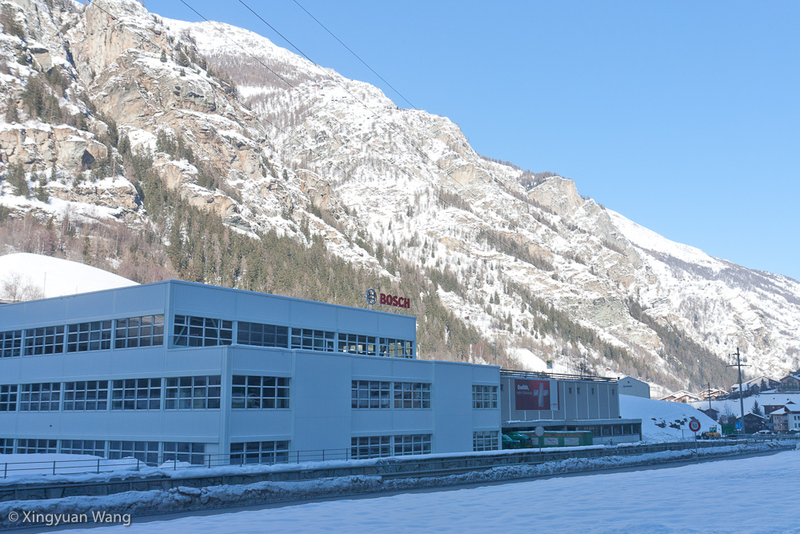 I had realized this in Austria, and seeing the miles and miles of pistes in the mountains above Zermatt reaffirmed how well this entire industry functions year round. My camera lens was not ready for the transition from the -10 °C, dry exterior conditions to the humid, balmy train cabin and fogged up immediately. I reached a snowy Riffelberg and decided that I’d stay dryer if I didn’t go postholing to try to find a good location for a picture. 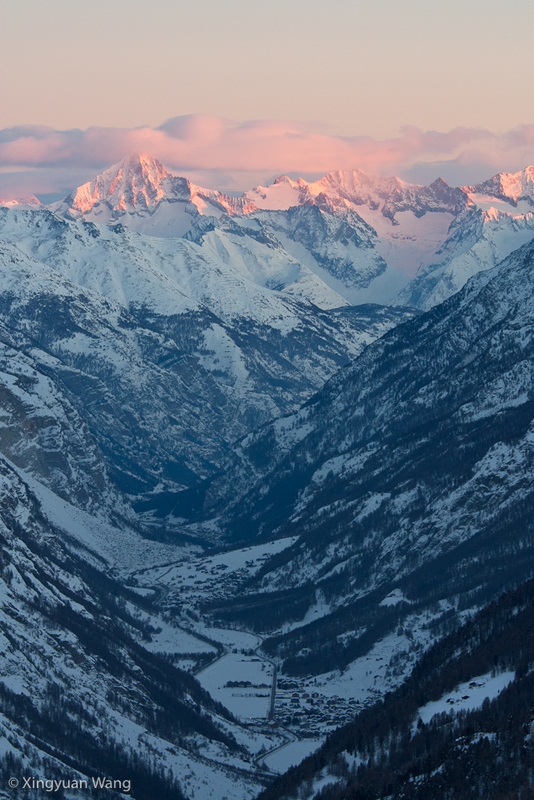 As the sun began to rise, I took a picture down the valley. 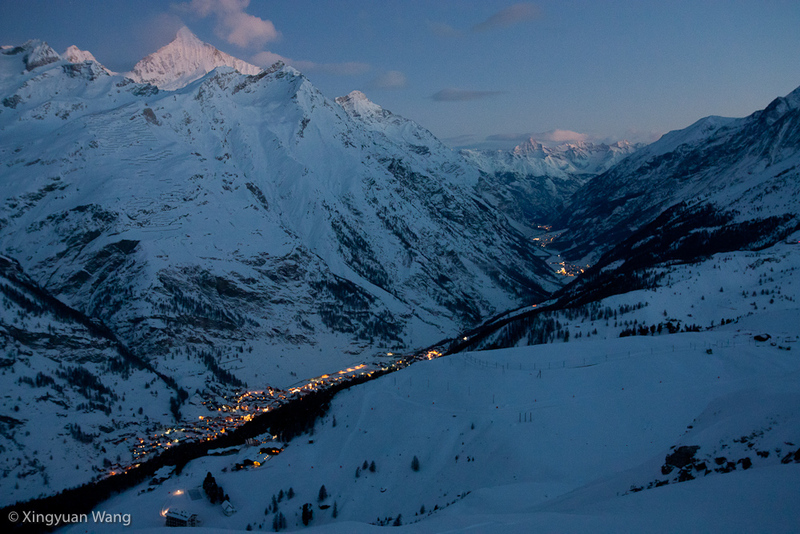 The first clump of lights (bottom left) is Zermatt; further up the valley is Täsch. The third clump of lights is Randa. Unlike my last time here, when it was absolutely silent at sunrise, this time it was clear I was not alone. The ski lifts began to hum 45 minutes after I arrived, and there was the ever-present sound of the Pistenbully snow groomers at work on the slopes. 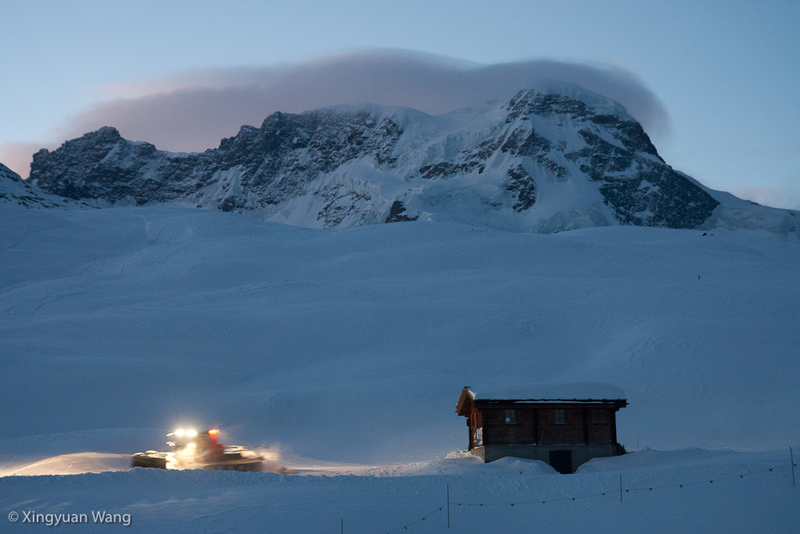 In the background, the Breithorn wears a cloud cap. The sunrise was as magical as ever, especially because I knew that had I turned around (or, well, died) the night before I wouldn’t be seeing it now, but the clouds are always in the wrong place! I know — truly a disappointment. (This post can’t be entirely serious! I have to inject some irony sometime. 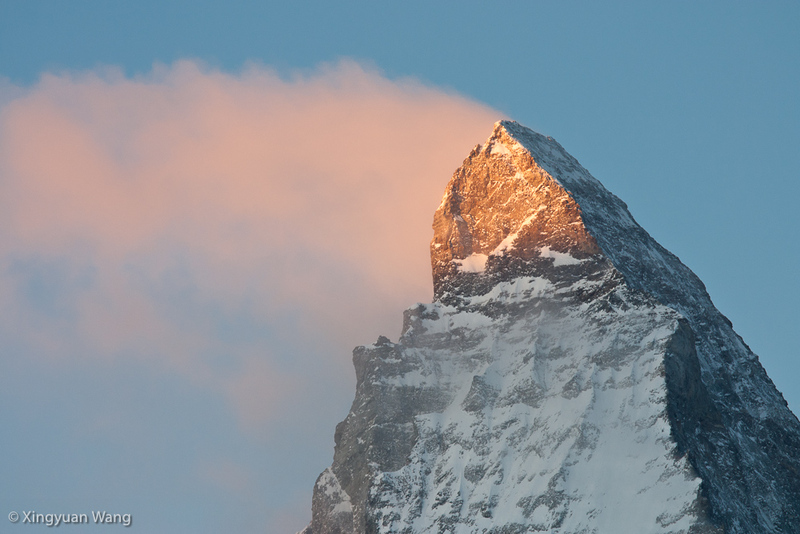 ;-)) The Matterhorn does create its own clouds, however — it was as if there was a chimney hidden from view, creating clouds that then spilled off to the north-northeast. I caught the third train of the morning and continued to Gornergrat, curious to see how it looked in winter (and how it compared to when I was there in August). 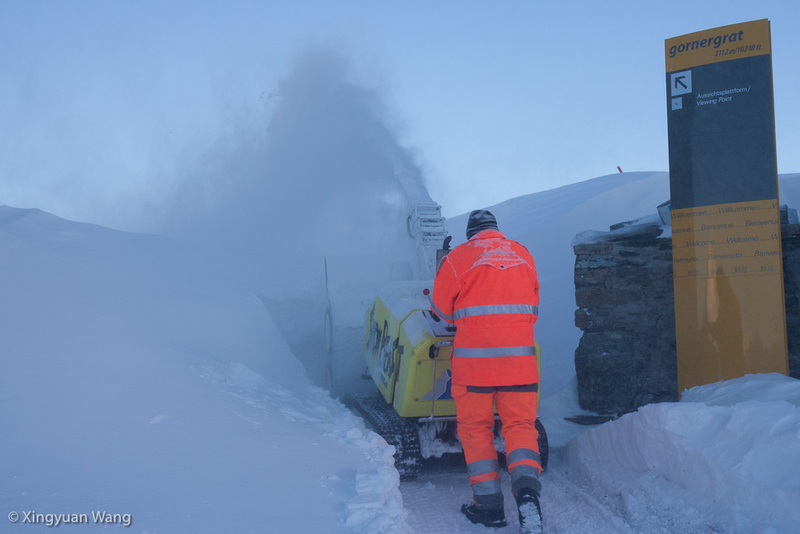 This time, there was much more snow — and the accompanying supersized snow-moving equipment to deal with it. Most of the shops at Gornergrat were closed, and having seen the mountains and skiers zooming downhill I headed back to Zermatt to seek out some books about the area. I settled on just one only because of my paltry luggage weight limit and with a heavy heart took the shuttle back to my car. I was cheered up on my first trip when I saw that Bosch has a facility in St. Niklaus (heckuva name, no?! 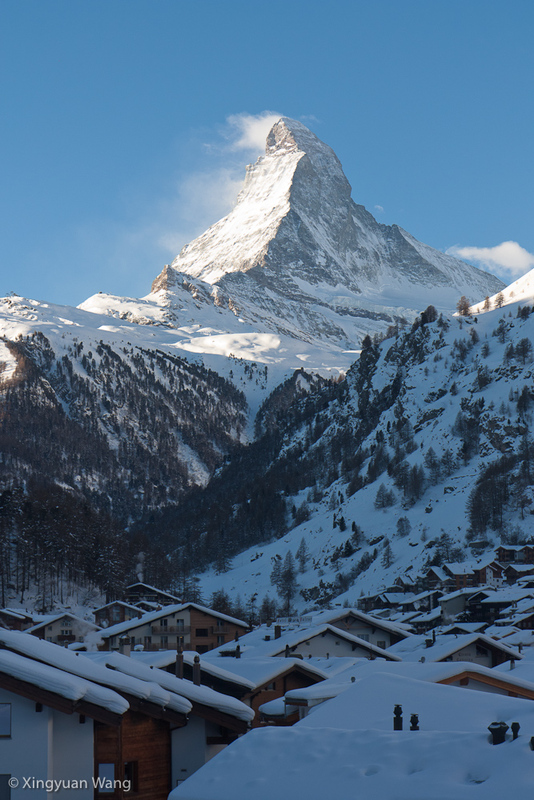 ), which is extremely close to Zermatt, but this time the sight was less of a consolation. It’s not that I love only Switzerland or the Swiss Alps. I mean of course Zermatt in particular has a je ne sais quoi that’s motivated me enough to go back three [expensive] times — maybe it is merely that I became subconsciously connected to the place when I read Ullman’s book — but honestly, my 183 days in Europe has been something of a fairy tale. I can’t fully articulate how fortunate I am to have been able to participate in this adventure. It’s not something most people, let alone most people my age, get to experience, and it’s not just from a travel perspective (this blog represents only a splinter of my experiences). I’ve learned a lot about myself: what motivates me, what scares me, what I do and don’t enjoy about the cultures I’ve seen, and I’ve also been able to get to know some fantastic people. The North American trainee program I’m in is a small fraction of all the trainees at Bosch, and to have been in Germany and meet some of the other trainees was a great experience that can’t fully be depicted in pictures. Being able to catch up with old friends, many of whom were interns when I met them in the US but have since returned to their native country for full-time work, is also something I’ll remember — they served as excellent guides and hosts to Germany, far better than I did when I tried to give them suggestions for things to do in the US. I also loved how connected all of Europe is; yes, in terms of travel, but more important, in terms of social camaraderie. As such, there isn’t a singular aspect of my time I’m going to miss most: I’m going to miss all of it. The discussions, the friendships, the parties, the cultures, the cities, the countries. And sure. 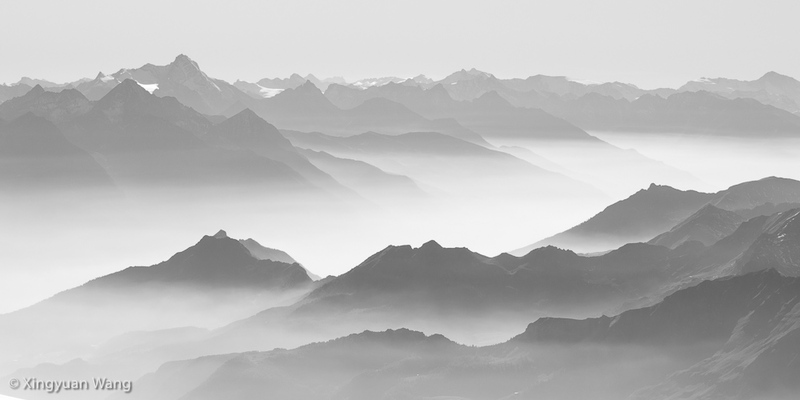 As a photogenic — even if not by my lens — reminder of the most memorable six months of my life, the Swiss Alps.